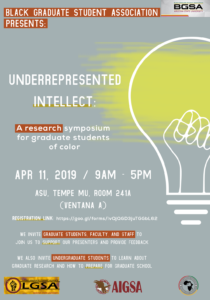 See what our graduate students are researching at Underrepresented Intellect: a research symposium for graduate students of color. All graduate students, faculty and staff are invited to attend, provide feedback and support speakers, and undergraduate students are welcome to attend to observe and learn about graduate research. 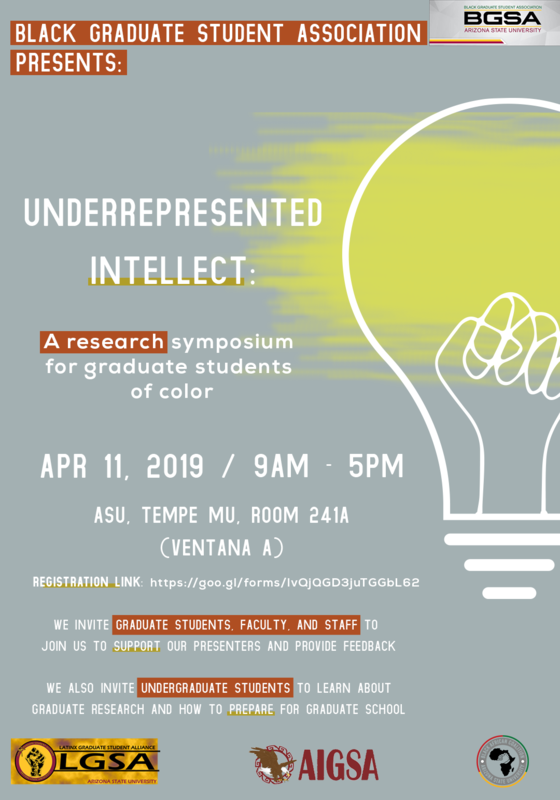 Underrepresented Intellect is a research symposium that showcases the scholarly efforts of graduate students of color. The event offers these graduate students the opportunity to present their research and receive feedback from faculty, educators and other graduate students. Upper-level graduate students who have previous experience presenting at research symposiums are also invited to participate. Presentations may be from any field of study. Additionally, undergraduate students are welcome to attend the symposium to experience what graduate research is like and become familiar with the graduate school process.